A Saint Paul filmmaker inviting the Lanesboro community to help shape and inform an experimental film that explores her father's experiences as a Guatemalan-American farmer and cow herder in rural Colorado March 12 - April 9, 2018 as an Artist in Residence at Lanesboro Arts. Saint Paul filmmaker Rini Yun Keagy (“REE-nee Yunn KEH-ggee”) lived and worked in Lanesboro March 12 – April 9, 2018 as an artist in residence with Lanesboro Arts, supported by the Jerome Foundation. Through intentional outreach and personal interviews, especially with area residents engaged in farming, cattle ranching and auctioneering, Rini invited the Lanesboro community to inform and help shape her experimental work-in-progress film, “North/Central.” The film explores her father’s experiences as a Guatemalan-American farmer and cow herder in rural Colorado, while raising the question of what it means to be an ethnic or cultural minority in agrarian and small-town America. When her parents separated, she lived primarily with her father who later resettled in rural Costilla County in southern Colorado where he continues to raise cattle and sell at local auctions. His farm is situated near San Luis, the oldest incorporated town in Colorado, founded in 1851. Most of the town’s 600-plus inhabitants are part of a tight-knit group of farming families who are direct descendants of Hispanic settlers. Although Rini’s father is Latino, he ironically remains an outsider as a later generation immigrant, a fact that reinforces his alienation within his own community. Over the past decade, Rini has filmed and recorded her father and the cows on his Colorado farm, working intermittently towards the completion of a film tentatively entitled “North/Central.” Her work in-progress film aims to explore how place can be imbued with intense beauty as well as personal and collective traumas. Through audio interviews, and by focusing her lens on myriad details of inanimate objects, landscapes and animals on her father’s farm, Rini presents one specific account of the multiplicity of experiences among contemporary Americans who work the land to supply our food. A welcome discussion, film preview & group meatball supper took place at Pedal Pushers Cafe in the upper level Roost Dining Room on Wednesday, March 14, at 5:30 p.m.
An open studio workshop on the creative and technical aspects of filmmaking happened Tuesday, March 27th from 4 to 6 p.m. in the Upper Level Studio Space at the St. Mane Theatre. A capstone “North/Central” film screening & discussion was presented in the St. Mane Theatre auditorium on Friday, April 6 at 6:00 p.m.
A residency farewell artist talk took place in the Events Hall of Commonweal Theatre at 11 a.m. on Sunday, April 8. Rini also invites community members to join her at Friday cattle auctions at the Lanesboro Sales Commission. For her artist residency at Lanesboro Arts, Rini will edit several sequences from “North/Central” while inviting the Lanesboro community to shape and inform her work through outreach and interviews. Anyone interested in learning more and participating is invited to join the artist at a Welcome Discussion, Film Preview & Meatball Supper taking place in the upper level dining room of Pedal Pushers Cafe on Wednesday, March 14, at 5:30 p.m. While advance registration is not required, it is encouraged in order to ensure there is enough food for all participants. During the week of March 19, Rini will participate in a potluck at the Lanesboro American Legion, the P.L.A.Y.Y. group at the Lanesboro Community Center, SEMCAC Senior Dining at Kenilworth Apartments, and the Journalism class at Lanesboro Public School. An Open Studio Workshop on the creative and technical aspects of filmmaking will happen Tuesday, March 27th from 4 to 6 p.m. in the Upper Level Studio Space at the St. Mane Theatre. A Capstone Film Screening of “North/Central” and a moderated discussion with Rini, special guests and attendees will take place at the St. Mane Theatre on Friday, April 6 at 6:00 p.m. A residency farewell artist talk will take place in the Events Hall of Commonweal Theatre at 11 a.m. on Sunday, April 8th, happening in conjunction with Commonweal’s 30th Anniversary weekend. Rini has spent the past decade experimenting with the craft of the moving image, engaging complexity and philosophical inquiry to her formal strategies. The sequences Rini will present to the Lanesboro community will utilize long-takes, profoundly observed details and poetic juxtapositions to comprise a psychic texture of labor and loss, living with the land, and the cycle of life and death. “North/Central” is, for Rini, a personal ongoing project centered on place and the impacts of migration. The film is currently a collection of footage and it has yet to take shape. She feels that Lanesboro Arts’ place-based residency is a perfect setting to experiment with and share her work while moving toward the film’s completion. Having lived in Minnesota for over three years (Northfield and Saint Paul), Rini is eager to further cultivate Minnesota as her home by engaging and learning from people in other parts of the state. 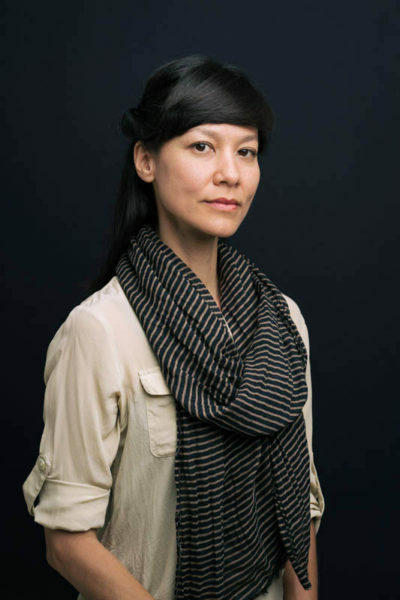 Rini Yun Keagy is a filmmaker and interdisciplinary artist based in the Twin Cities. Her moving image practice in video and 16mm film is multimodal and research-based, and investigates race and labor, disease, and sites of historical and psychosocial trauma. Her films are crossovers between cinema and art, fiction and documentary, narrative and non-narrative, abstraction and representation. She is a current McKnight Media Artist Fellow and Olson Innovation Artist-in-Residence with the University of Minnesota Libraries’ Archives and Special Collections. Keagy has taught filmmaking at University of California Santa Cruz, University of the Arts, and Carleton College. Screenings and exhibitions of her work include: Centre for Contemporary Arts, Glasgow; Katherine E. Nash Gallery, Cellular Cinema, Flaten Art Museum, Minneapolis; REDCAT Gallery, Los Angeles; Souvenirs from Earth International TV Project, Cologne; Light Industry, Brooklyn; Raum für Projektion, Bergen, Olso, Buenos Aires; Mind TV/Media Independence, Philadelphia Film Festival, Philadelphia Museum of Art, Philadelphia; Wits School of the Arts, Johannesburg; Festival Images Contre Nature, Marseille; Berlinale Talent Campus Editing Studio, Berlin.